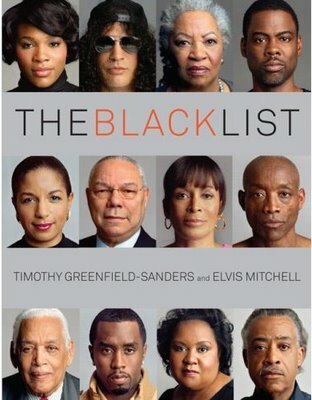 HBO's original two-part documentary The Black List offers dramatic portraits of some of today's most influential African Americans. HBO’s original two-part documentary The Black List offers dramatic portraits of some of today’s most influential African Americans. Directed by Timothy Greenfield-Sanders with interviews by Elvis Mitchell, the films include conversations with Colin Powell, Toni Morrison, Slash, Angela Davis, Charley Pride, and many others. The first volume of the film received an NAACP Image Award for Best Documentary. Elvis Mitchel, a former film critic for The New York Times and host of KCRW’s The Treatments, joined Marc on the show today to discuss the process of making the films and highlights from the interviews. Volume 2 of The Black List will be screened on Tuesday, April 28th, at 7 pm at the Brown Center at MICA at 1301 Mount Royal Avenue. This screening is part of OSI-Baltimore year-long series "Talking About Race." Filmmakers Timothy Greenfield-Sanders and Elvis Mitchell will introduce the film and participate in a Q & A session. This event is held in partnership with MICA, the Maryland Film Festival, and the Enoch Free Pratt Library. Click here for more information. This show is a rebroadcast. In order to avoid your podcast aggregator from downloading this show for a second time, we have not attached the podcast to this page. To download this podcast. click here!